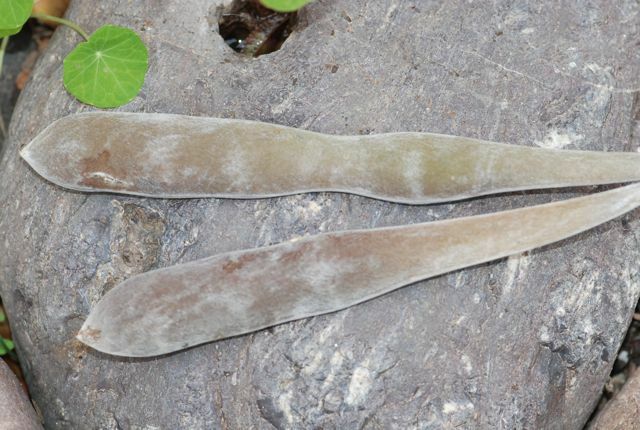 These mystery seed pods are about six to eight inches long. When they dry and open, the seeds inside are bigger than a dime. Do you know what plant this comes from? These are cool! For a woody legume that's native to N. America, check out Gymnocladus dioicus. 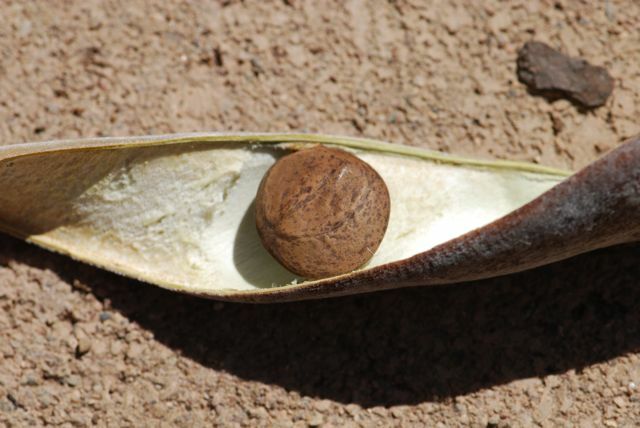 The seeds are even larger, and are nearly spherical. We'll definitely be on the look out for that one. Apparently it grows here in Arizona.